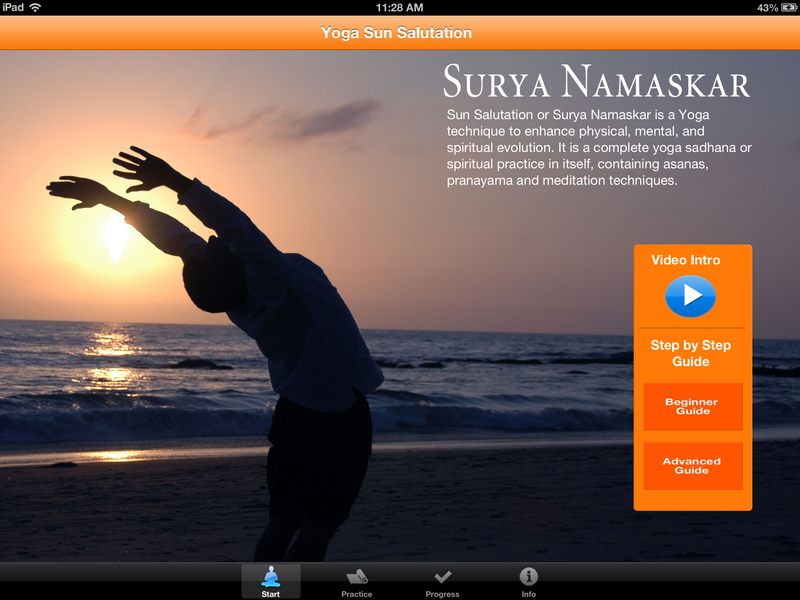 Yoga Sun Salutations is a new app from Trayati Apps. Sun Salutation or Surya Namaskar is a yoga technique to enhance physical mental and spiritual evolution. It is almost a complete yoga sadhana or spiritual practice in it self containing asanas pranayama and meditation techniques. 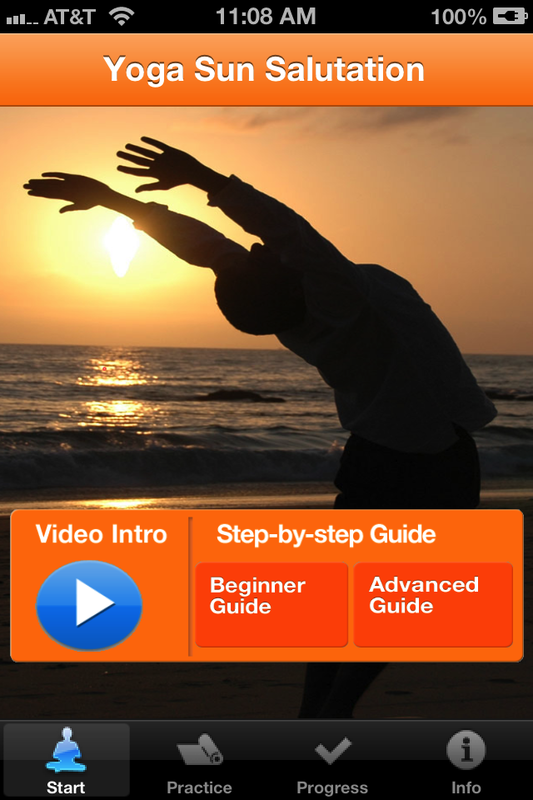 This app provides practitioners a step buy guidance for both beginners and advanced users. Users can practice this wonderful exercise with easy to navigate practice options. App also tracks the progress, which users can keep as log of their practice. App provides options to share their progress to facebook and twitter friends. Surya Namaskar revitalizes the body and mind, it helps to eradicate disease. It loosens up all the joints and the muscles, massages the internal organs, activates the respiratory and circulatory systems. There is no other exercise that can surpass Sun Salutation. Running, walking, swimming are excellent exercises, but they don’t exercise the body as efficiently as Yoga Sun Salutation in short time. Sun Salutation is more than a series of physical exercises. It also has depth and completeness of a spiritual practice which harmonizes whole body mind complex. Please consult your physician or qualified yoga teacher before you start your practice. Always avoid strain, practice only to your capacity.